WorldMovieStore - Chronicle Sinopsis. Oh yeah--they can fly, too: and here director Josh Trank takes wing, in the movie's giddiest sequence, as the trio zips around the clouds in a glorious wish-fulfillment. It goes without saying that there will be a shadow side to this gift, and that's where Chronicle, for all its early cleverness, begins to stumble. Broody misfit Andrew (Dane DeHaan), destined to be voted Least Likely to Handle Superpowers Well by his graduating class, is documenting all this with his video camera, which is driving him even crazier (the movie's in "found footage" style, so everything we see is from a camcorder or security camera, an approach that gets trippy when Andrew realizes he can levitate his camera without having to hold it). --Robert Horton. Read More Sinopsis. 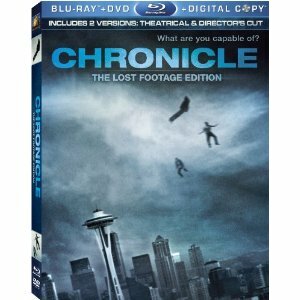 0 Response to "New Release Chronicle Blu-ray"